Customers don’t want a car that has been sitting at the dealership for a long time – that’s why we make it easy for shoppers to see the newest and most popular Land Rover vehicles that have hit the lot most recently. When you visit us for a test drive, we’ll be sure to show you all our top models, from sedans to SUVs. We feature Land Rover models that are the newest and most popular on the lot, so look at what we have and stop by Land Rover North Scottsdale before they’re taken! These vehicles have JUST been added to our inventory; test drive them before anyone else opens the door! We at Land Rover North Scottsdale have specifically gathered inventory searches that customers commonly browse online, because we want to do the difficult work for you. Right when you step foot on the lot, you’ll be able to further explore the vehicles you’ve been waiting to get to know. Whether you’re looking for a Range Rover or a Discovery Sport, you can peruse our specific inventory of certain trims, models, or features available. See the custom inventory we’ve created, and find the model that’s right for you! Looking for Something Gently Used? We’re incredibly active at Land Rover North Scottsdale, so make sure to follow us on social media to keep in touch with the latest specials, cars on the lot, and news around Phoenix! How Much Can the Range Rover Velar Tow? 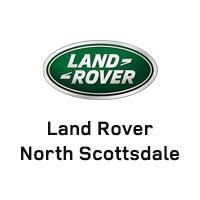 Visit Land Rover North Scottsdale Today! Land Rover North Scottsdale	33.650245, -111.9262896.